Apple CEO Tim Cook visited Foxconn's Zhengzhou factory in March, months before Friday's report of a massive strike at the plant's iPhone 5 production lines. 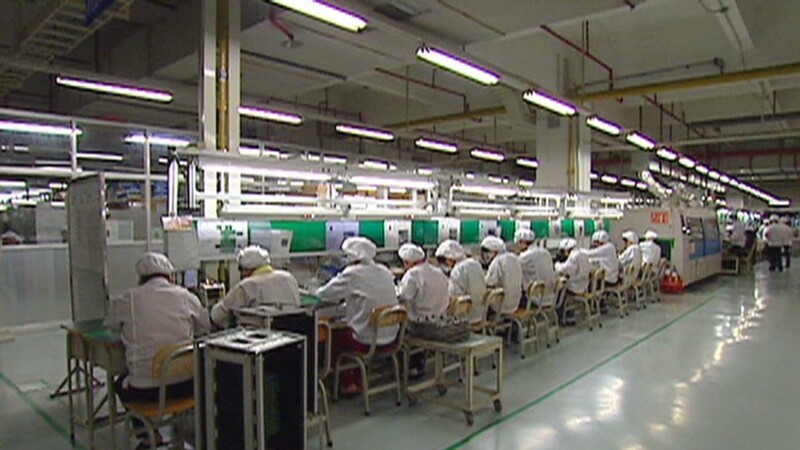 Thousands of factory workers at Foxconn went on strike Friday to protest their working conditions on the iPhone 5's production lines, according to a report from an independent workers' rights organization. Workers at Foxconn's plant in Zhengzhou, China, were furious after management enacted "overly strict demands" for production of Apple's (AAPL) new iPhone 5, according to a report late Friday from China Labor Watch (CLW), a New York-based advocacy group that works closely with sources in China. The work stoppage lasted several hours on Friday and "paralyzed the production lines," the group said. The majority of its participants were from the quality control line for the iPhone 5. Workers and inspectors clashed in fights that sometimes turned physical, CLW said, with some hospitalized as a result. China's state-run news agency Xinhua also reported on the disturbance. More than 100 quality inspectors refused to go to work Friday "after one of the inspectors was allegedly assaulted by the workers, who have been dissatisfied with the new inspection standards," Xinhua said, citing an unnamed regional government spokesman in Zhengzhou. The work stoppage lasted roughly one hour, according to Xinhua's source, who said that the plant has now resumed production. Workers on the scene reported a much longer outage to CLW, saying the shutdown extended from mid-day Friday into the next day. Foxconn released an official statement on Saturday denying both reports, but acknowledging "disputes" earlier in the week. "Any reports that there has been an employee strike are inaccurate," Foxconn said. "There has been no workplace stoppage in that facility or any other Foxconn facility and production has continued on schedule." The Zhengzhou plant had clashes on Oct.1 and 2 between "a small group of production line workers" and quality control personnel, according to Foxconn. "These were isolated incidents and were immediately addressed and measures taken, including providing additional staff for the lines in question," Foxconn said. "This is consistent with our efforts to work with our employees to continuously enhance any aspects of our production that can improve the workplace and manufacturing practices." Foxconn's Zhenghou complex employs around 190,000 people, according to CNET, which recently visited the area. Apple CEO Tim Cook made an appearance at the plant in March. Both Xinhua and CLW cited tension over iPhone 5 quality standards as the event's catalyst. Workers were given new, impossibly strict standards, demanding precision down to increments as small as two-hundredths of a millimeter, according to CLW. "Employees could not even turn out iPhones that met the standard," CLW's report said, because of "design defects" in the iPhone 5. Apple ordered stricter inspections in the wake of customer complaints over "aesthetic flaws" in the iPhone 5, the Zhengzhou government spokesman told Xinhua. Apple did not respond to messages from CNNMoney seeking comment. Bessie Chang, a CLW program assistant, said it was the organization's Chinese-based staff that first heard rumors of the strike. CLW director Li Qiang spoke to his sources at Foxconn to verify the report. Tensions at the Zhenghou plant were already running high because workers were not allowed to take vacation time during China's recent Golden Week holiday, according to CLW. That holiday typically involves three days of paid time off. Employees who worked through the holiday did so voluntarily, Foxconn said, and were paid overtime of three times their normal hourly rate, in accordance with Chinese labor laws. Foxconn has been in the spotlight amid growing public concern about labor conditions in the overseas factories that many U.S. gadget makers rely on to produce their devices. Apple is just one of many companies that outsources its manufacturing, but as the industry's most popular and profitable company, it's under the most intense scrutiny. 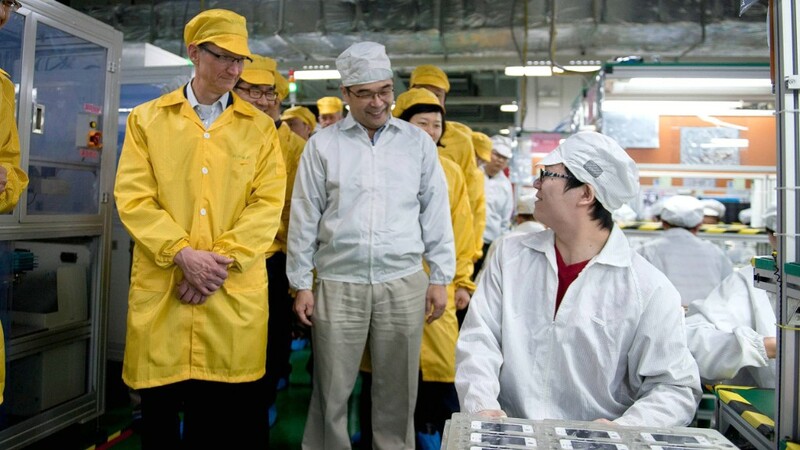 In January 2012, Apple joined the independent labor-rights organization Fair Labor Association (FLA), which promptly began inspections of the working conditions at Foxconn's many factories. FLA released an assessment in March that documented dozens of major labor-rights violations, including excessive overtime, unpaid wages and salaries that aren't enough to cover basic living expenses. The FLA's report said Foxconn agreed to work with the group on improvements, including enacting "full legal compliance" with Chinese work-hour laws by July 2013. Last month, a large-scale incident involving 2,000 workers forced the temporary closure of Foxconn's Taiyuan factory. One worker at the scene termed the situation a riot, and it led to the hospitalization of about 40 people.